These S’mores Cookies are a fun way to get all of the flavors of a s’more into your mouth, but in cookie form! They’re basically chocolate chip cookies (studded with marshmallows and Hershey’s chocolate bars) on top of a graham cracker base. Happy Fourth of July, everyone! Our friends Adrienne and Matt are visiting for the weekend. Adrienne asked for these cookies, and who am I to refuse a pregnant friend’s request? 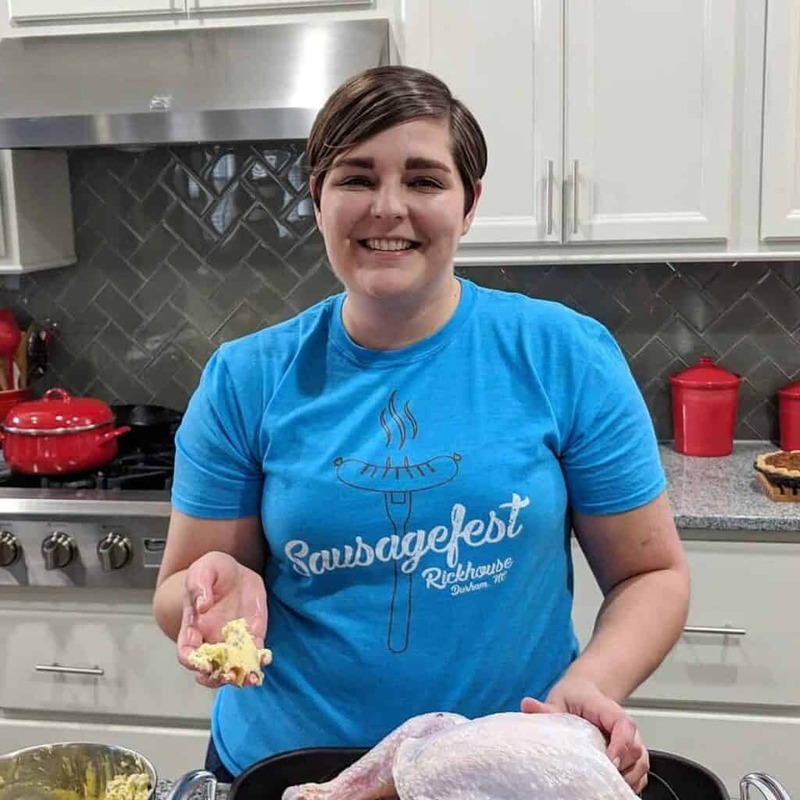 This recipe comes from the blog The Girl Who Ate Everything. Lay the graham crackers out side by side on the parchment paper, as close to one another as possible. 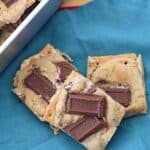 Depending on the size of your baking sheets, the amount of dough you have, or how thick or thin you want your cookies to be (you'll put more dough on each graham cracker square if you want thicker cookies), you might need to use more than two cookie sheets. In the bowl of a stand mixer, cream the butter and sugars together until it is light and fluffy. Add the eggs and vanilla, and mix until everything is well-combined. While this is going, whisk the flour, baking soda, salt, and cinnamon in a bowl. Little by little, add the flour mixture to the egg/butter/sugar combo. Stir on low, making sure that everything is well combined. Scrape down the sides of the bowl as necessary. Fold the marshmallows and chocolate chips in. 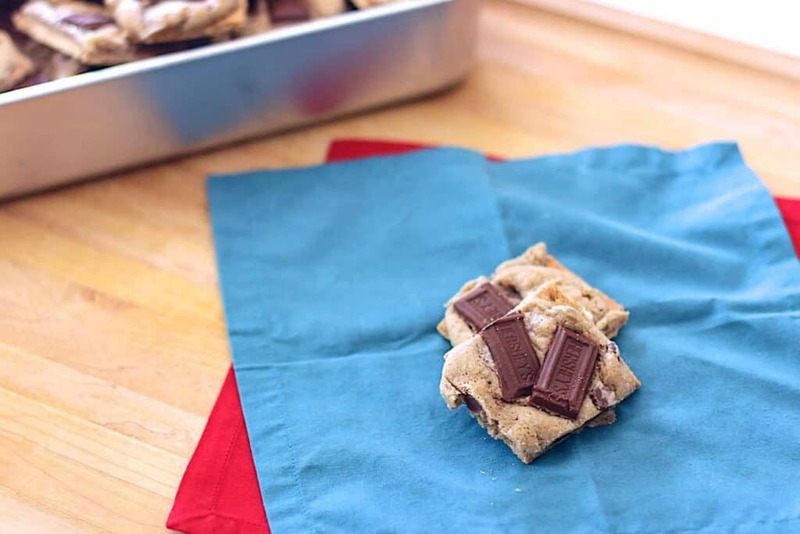 Using a cookie scooper, drop cookie dough by the tablespoon onto the middle of each graham cracker square. Press the dough down with your finger tips a bit. Bake the cookies for 5 minutes. 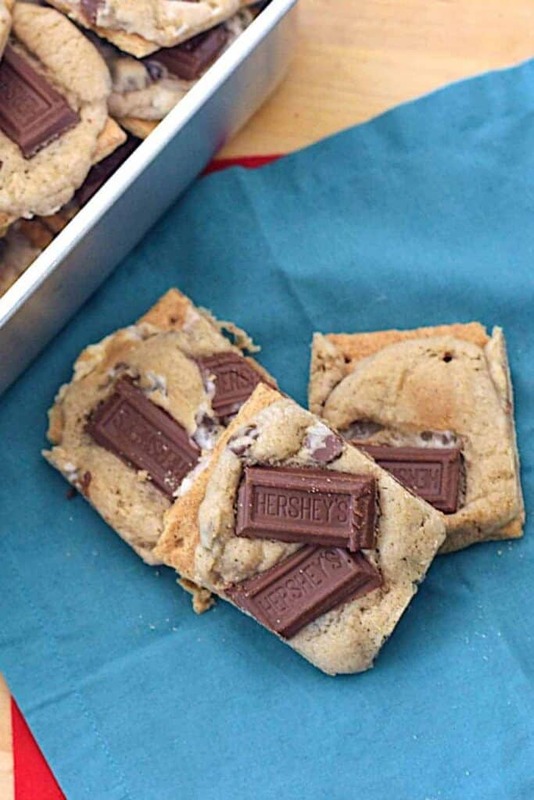 Remove them from the oven, and press the Hershey's bar pieces onto each dough blob. 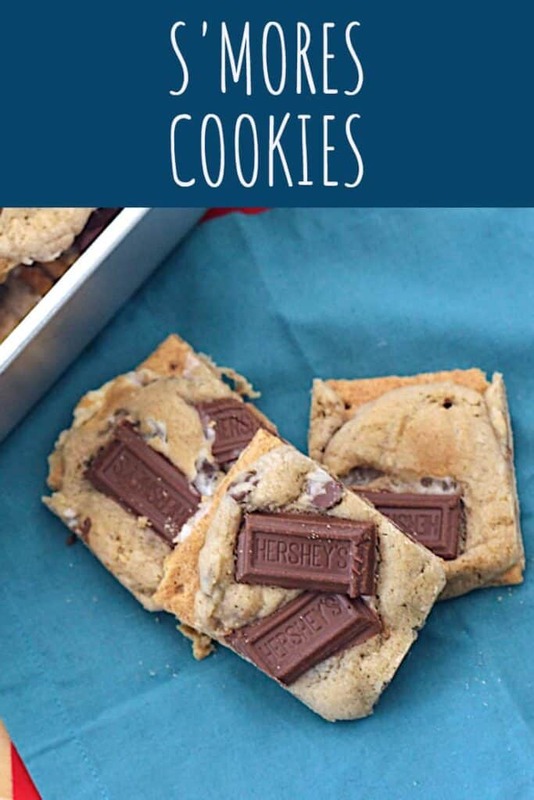 Put as many little chocolate bars on each cookie as you can fit/as you want. Bake the cookies for an additional 5-7 minutes, or until the dough is beginning to turn golden brown at the edges. Allow the cookies to cool for a few minutes on cookie sheet, then remove them to a wire rack to finish cooling. Need s’more s’mores recipes? How about these S’mores Cupcakes or S’mores Cheescake?